Computer hardware is cheap. Many software recording tools are also inexpensive. In an age where anyone with a laptop, microphone and audio interface can record better quality audio than in decades past, is there still a need for recording studios? Will they continue to be relevant in the times to come? It has long been said that anyone could set up their own home project studio, and never has that been truer in an age where software and hardware tools are so accessible and inexpensive. Anyone with a laptop and a microphone can capture better quality sound than even professional studios of the yesteryear. This begs the question: are recording studios obsolete? Is this the end of an era? There are several factors that we must keep in mind before spreading doom and gloom predictions. Consider the following. Not everyone knows how to set up a home studio. If you’re mostly dealing with software-based recording, then there isn’t anything terribly challenging about setup. That’s a bit of a different story when you’re dealing with hardware-based recording. You must know what cables go where. You must know what the faders and knobs do on the mixing board. You must figure out your signal chain. There is so much to be aware of. Software certainly is powerful, but it doesn’t always offer the variety of options and warmth that good hardware does. There still is – and will continue to be – a demand for studio engineers that know their gear inside and out. This is because an amazing sound can be achieved without expensive gear, so long as you know what you’re doing. Learning software can be a challenge – especially for beginners. Digital Audio Workstations (DAWs) certainly are powerful, but in terms of complexity, many of them are not that far off from a program like Adobe Photoshop. Unless you’re a graphic designer, you probably don’t have much experience with Photoshop and would freeze up the moment you opened the application. Anybody with enough determination can become proficient at using DAWs, plugins and other software tools, but not everyone has the time or the patience to dedicate to it. A seasoned studio engineer will probably feel at home within a DAW environment, and will even comment how easy it is to use. It can be intimidating for many others, however, especially those who aren’t tech savvy. Unless recording software becomes even more intuitive, automated, or both, quality engineers will continue to be in demand. A great studio engineer doesn’t need a state-of-the-art studio to create pristine quality recordings. The longer they use their gear, the more they get to know it. The more bands they work with, and the more recordings they do, the better they become at what they do. Anybody can record a voice and an instrument and get a sound, but they can’t necessarily get a great sound. Moreover, they may not have any knowledge when it comes to mixing and figuring out how to place a track in a mix. A good ear can be developed, but again, it tends to come through a significant amount of experience and study. 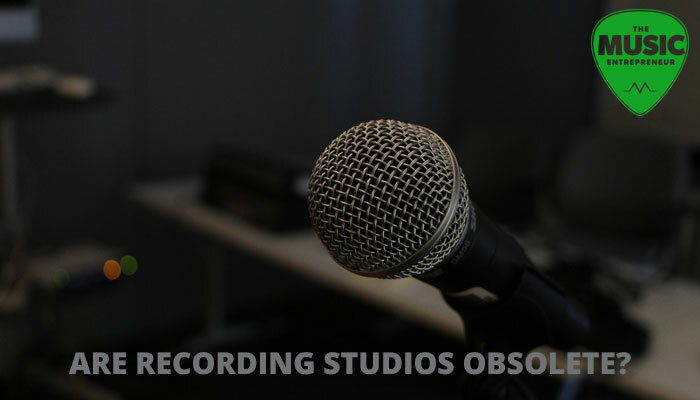 Many musicians, producers, hobbyists, and others will continue to rely on the ears of a professional to get the quality of recording desired. Recording is part science and part art, so even if you think you know everything there is to know about recording theory, if you don’t use your ears and develop the ability to listen to your intuition, you will never be the best engineer in the world. Because of the proliferation of inexpensive technology, anybody with the desire to set up shop can. Achieving their musical vision, however, may prove more challenging than they even realize. I often mix and master my own music, knowing full well it’s not the ideal way to go about it. Mastering, at the very least, should be handled by someone other than the person mixing the project. I also know I can get decent mixes on my own, but someone with more experience could easily achieve better results. Professionals will continue to be in demand, but the marketplace will become all the more competitive as time goes on. Recording studios may not be obsolete, but becoming the go-to studio or engineer – even for artists in your own locality – is easier said than done. Recording and promoting a release of any size can be a massive undertaking. That’s why I put together a new eBook titled: How to Record, Promote & Sell Your New Music Release – Single, EP, or Album. This resource is packed with information detailing each step of the recording process, and even covers how to promote and sell your new release. Click HERE to find out more.